For 2018, the Lexus ES features free Enform Safety Connect and Enform Service Connect for the first 10 years of ownership. 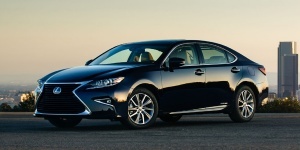 Get the best price for the Lexus ES of your choice from a dealer in your area. Request a price quote now.